Conrad Rocks! : Who Told You? Examining the Source of our beliefs. Who Told You? Examining the Source of our beliefs. 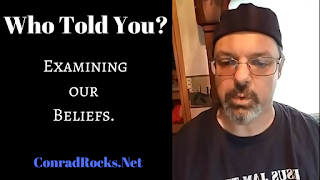 Who told you what you believe? Where are you getting your information? The world or the Word?